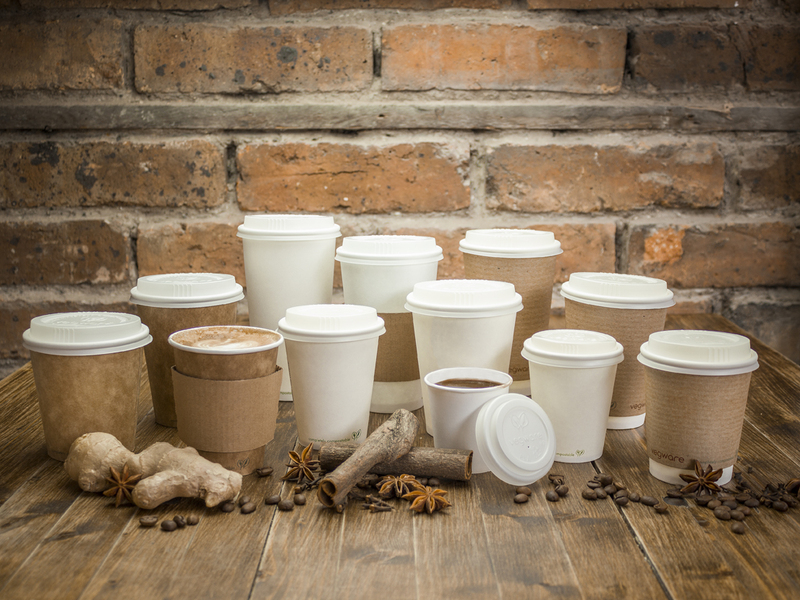 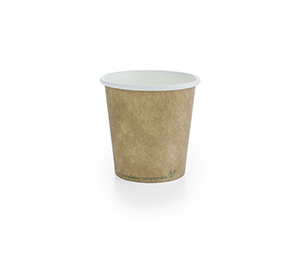 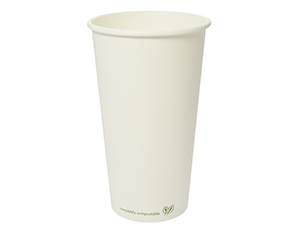 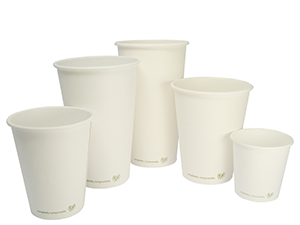 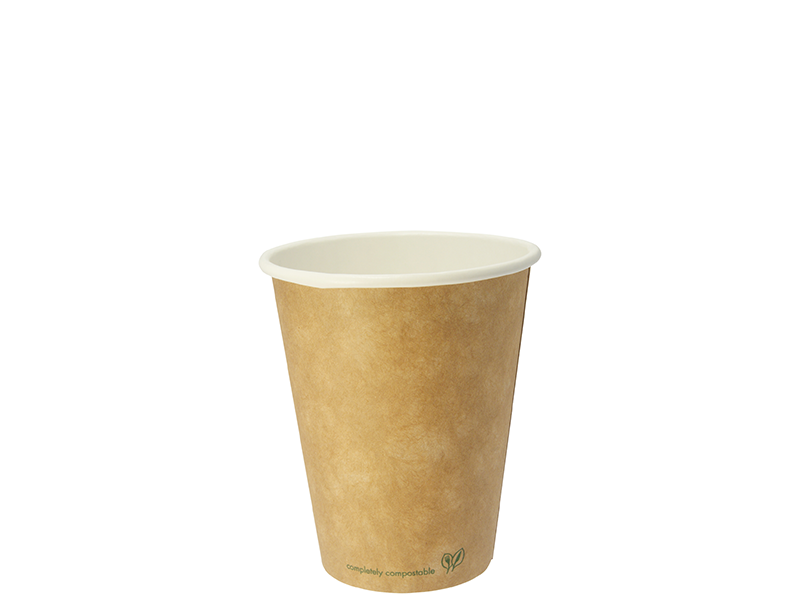 Lined with plant-based PLA, not plastic, our hot cups are completely compostable. 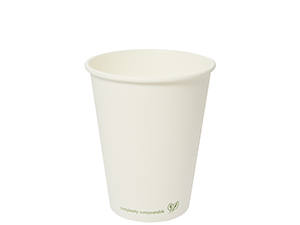 In crisp white, they simply say 'completely compostable'. 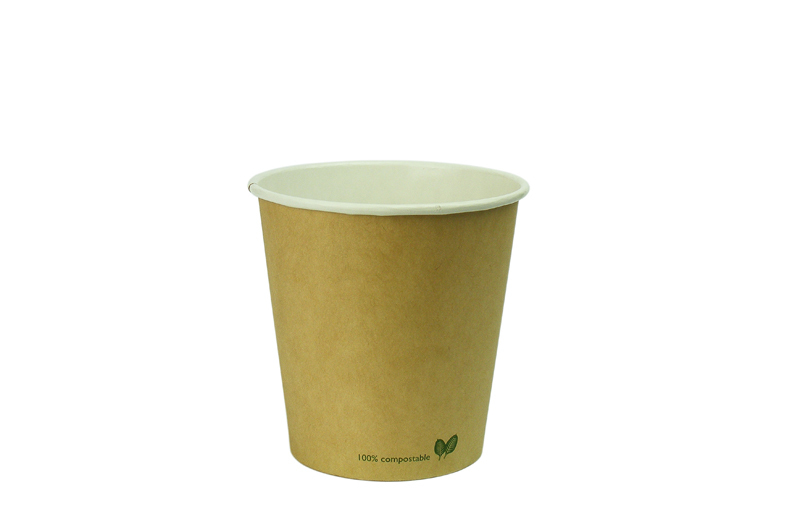 Product dimensions: 8.9cm/3.5in rim diameter, 11cm/4.3in height.